The Kraken Chaos is a Limited Edition Hydro type weapon. This trap offers mice the thrill of the open ocean, with a great piece of cheese and the wind blowing through their fur... of course, they'll also have a giant, grabby squid to keep them company. With eight arms and two tentacles contending for the catch, this trap just has to get the mouse one way or the other. It's also a favorite of humane hunters, as the squid much prefers to eat fish. 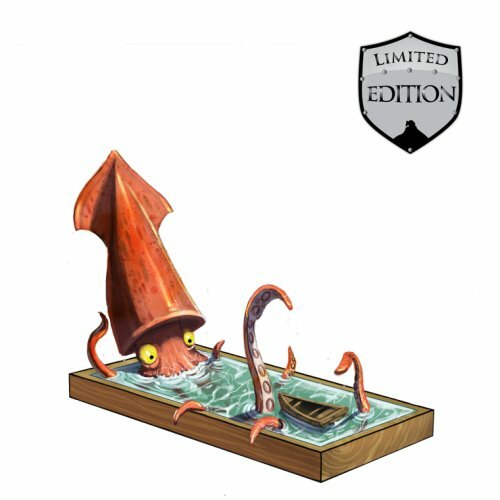 The Kraken Chaos is a Limited Edition weapon and can no longer be acquired by Hunters. It was available for 860,000 gold from Ronza's Traveling Shoppe October 20 through November 3, 2009. It refunded for 154,800 gold at the same location during that time. 20 October 2009: The Kraken Chaos was introduced.